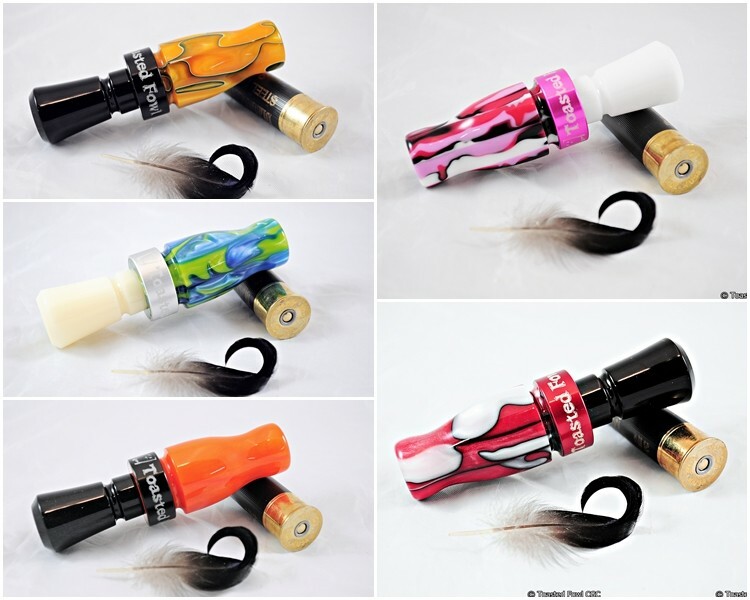 Acrylic Duck Calls (Clockwise from Top Left) – Orange Tuscan Sun w/ Black, Black & Berry Camo w/ White, Fire & Ice w/ Black, Orange Pearl w/ Black Pearl, Seaweed Bay w/ Ivory. If you want a different color combination than what is in the shop let me know and I will be happy to custom build on for you. I can also build them with a double reed insert if you want too.